Body contouring specialist George Bitar, MD is an American Board certified cosmetic and reconstructive plastic surgeon in solo private practice with offices in Fairfax and Manassas, Virginia. He is also on staff at Inova Fairfax, Inova Fair Oaks, Reston, and Prince William Hospitals.Dr. Bitar is an expert in body contouring, especially after significant weight loss, ranging from liposuction, creating a contoured “six-pack” abdomen to arm lifts, thigh lifts, tummy tucks, and lower body lifts. Dr. Bitar’s expertise in cosmetic surgery spans mastery in the latest surgical and minimally invasive techniques to scar management and reduction. He teaches other plastic surgeons his state-of-the-art neck lift technique with a hidden scar and a special fibrin sealant for younger people who don’t need a full facelift and want a quick recovery period. George Bitar, MD can give you the solutions you seek for your body. Call his office in Fairfax to discuss what suits you best. The MedSpa owes its origin to the MedSpa, an exclusive medical spa established by Abha Kashyap M.B.A., C.S.S. (Harvard ) and her husband Dr. Ajaya Kashyap, MD, FACS, a prominent Plastic Surgeon in the Boston area in U.S.A.
MedSpa opened its doors in 1998 in the Boston area, as a spin off of Dr. Ajaya Kashyap's thriving practice, so that more services and procedures could be offered to patients. MedSpa, a Cosmetic Surgery Center, offer latest, state-of-the-art medical treatments in a luxurious and unforgettable spa atmosphere, where each treatment was infused with aromatherapy, sound therapy and color therapy. The serious, cold, business-like atmosphere of a medical facility was replaced by the warm and relaxed atmosphere of a Spa, while maintaining the cleanliness and sterility of a medical office. Treatments were formulated to de-stress, detoxify and invigorate the body while surgical and non-surgical treatments were performed to rejuvenate, contour and reshape the body and the face. High-tech, modern medicine met traditional alternative therapies. The concentration of MedSpa remained in Plastic Surgery and Skincare, while incorporating total body wellness , including weight reduction, pain management, and stress relief, through alternative therapies. When the Kashyaps decided to move to India in May 2005, they brought their extensive experience, the latest equipment and the already successful treatment programs to India, to MedSpa. At the MedSpa, traditional alternative therapies and latest, ground-breaking, scientific medical procedures compliment each other to obtain optimal results. 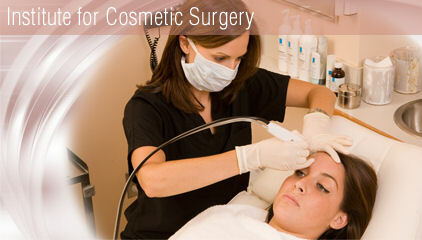 The focus continues to be Plastic and Cosmetic Surgical and Non-surgical Procedures, Skin Care, and Wellness. Each MedSpa patient can take pleasure in the opulence of a Spa, while receiving hi-tech latest treatments in the privacy and sterility of a medical office. >back to "Medical Clinic in India"